Looking Our Best has been made to confront her addiction. She has an incurable scarf habit. Only yesterday, while on a brief just-looking foray into Zara with the young heiress to the Celtic Tiger billions*, said heiress was moved to exclaim, “Mum, STOP looking at scarves. You have ENOUGH.” Ah, the folly of the young. As we all know, a woman can never have enough of these hard-working accessories. No use telling her about every grown-up’s woman of style, Audrey Hepburn. With the age of austerity upon us, LOB believes that scarves remain the fixed assets of the recession wardrobe. (See the smart metaphors you get on this blog at no extra cost?) 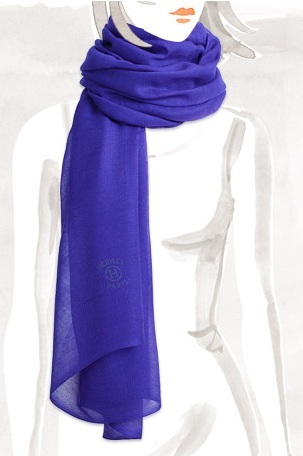 The beauty of a gossamer silk scarf is a joy to behold. 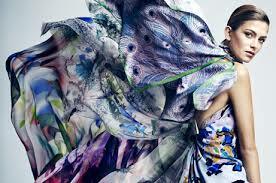 It will bring elegance and freshness, floating over a well-worn, but much loved jacket or dress. And the bonus for us of the mature and bingo-winged variety longing to go sleeveless come summer is that a light, flowing scarf knotted at the neckline draws the focus away from the dimpled, putty arms. It can also camouflage a too-revealing neckline. For bigger scarves, read wraps, or what our mothers’ generation referred to as stoles. Accessories they may be, but scarves can be pricey little numbers, including the vintage ones with collectable label. Hermes scarves are much treasured for their individual beauty, and even when second-hand, they still fetch a pretty price. Their current cashmere and silk blends in indigo dyes are as light as air, but alas for LOB, are priced at the equivalent of a month’s mortgage repayment. The summer accessories collection at Zara show their generously sized designs in a number of patterns under the broad umbrella of ‘ethnic’, and hot in colour such as flavour of the moment saffron//tangerine/orange. Or apricot. (The title of this week's post, you grown-ups will have spotted, is a line from Carly Simon's 1972 hit, You're So Vain.) LOB especially likes this Zara embroidered and sequinned wrap, but it would have to earn its keep for years to come at a pricey €69.95. Always worth a look-out is Accessorize and a strong theme in the scarf/wrap department this coming summer is their range of Oriental patterns. 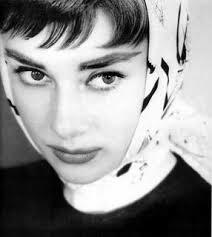 Meanwhile, back to Audrey (and any excuse to include an image of her here).
" Occasionally she was able to do her shopping without having all the crowds behind.” LOB hasn’t achieved quite that level of celebrity that she needs to head to Tesco in disguise.